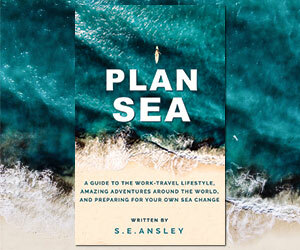 The Plan Sea travel book: “A guide to the work-travel lifestyle, amazing adventures around the world, and preparing for your own sea change”. Plan Sea is the second book by author S.E. Ansley (better known as Sea – the head writer at Digital Nomad). The book originally began as a guidebook of dreaming and planning trips, travel tips and running successful projects on the road. The story details magic and mysteries as Sea lives out his unbelievable adventures, with lessons along the way. Sea’s current trip was supposed to be a shorter, 2-3 month version, and nearly couldn’t afford to leave at all. Since given up everything in his Australian life to travel indefinitely, loving, and losing, along the way. The trip will reach nearly two years of non-stop travel by the time of its publication. Dreaming and planning a trip of your own. Trip preparation, such as using multi-city bookings to find the best international flight prices, and cheap accommodation. The Work-Travel Lifestyle. Setting up a venture where you can earn sufficient income while traveling on the road. Money on the Road. Includes emergency funding (such as if your wallet is stolen or your bank card stops working), finding volunteer gigs and short-term part time work, and a chapter on the importance and benefits of cryptocurrency. Amazing travel stories from around the world. Sea’s current trip has taken him through 17 countries, including 2 stops through India, an unexpected magical 3 months in South Korea exploring with a beautiful soul, and stops through Europe and South East Asia. Vipassana Meditation. Digging deeper into the ten day silent meditation that removes life long misery and puts life in objective perspective. Preparing for your own Sea Change. Hungry for your own adventures? Ready to make a giant change in your life? It’s not easy to drop everything you know and love, but know that you can accomplish anything you want in your lifetime. Plus many more fun, exciting and useful chapters, in around 300 pages of the Plan Sea book. The book has concluded charting stories and travel lessons through the story’s second stint in India, through a magical and random summer in Europe. We are now in the process of editing the chapters, and preparing the book for print. 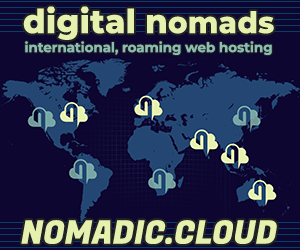 Any questions, ideas or messages of support, please send through Digital Nomad.